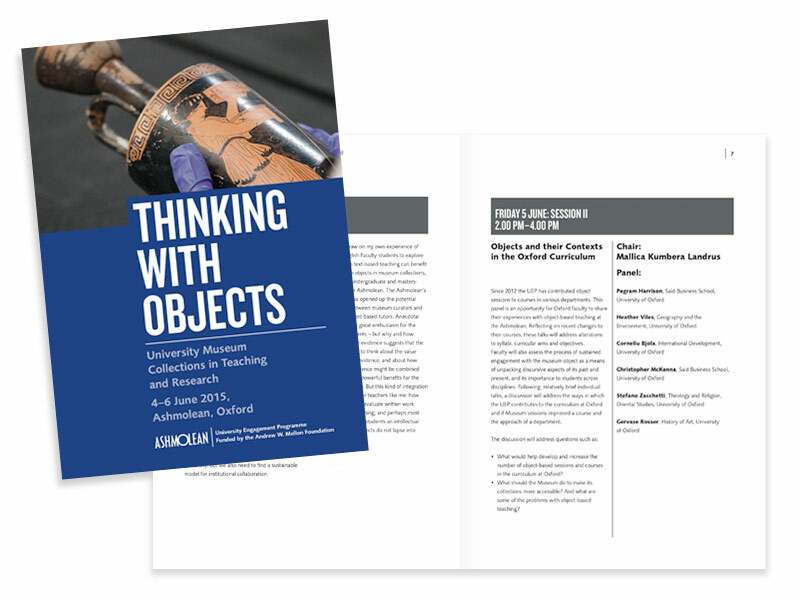 Thinking With Objects is a three-day colloquium held in June 2015 at Ashmolean, Oxford, discussing how collections are connected with teaching and research. Working with the colloquium, I designed, created artwork for and advised on the colloquium programme, handed out to attendees and including information about the sessions, speakers and panels. The programme is attractive and easily digestible, while carrying clearly all relevant information to help with the smooth running of the event.